RAPID CITY, S.D. 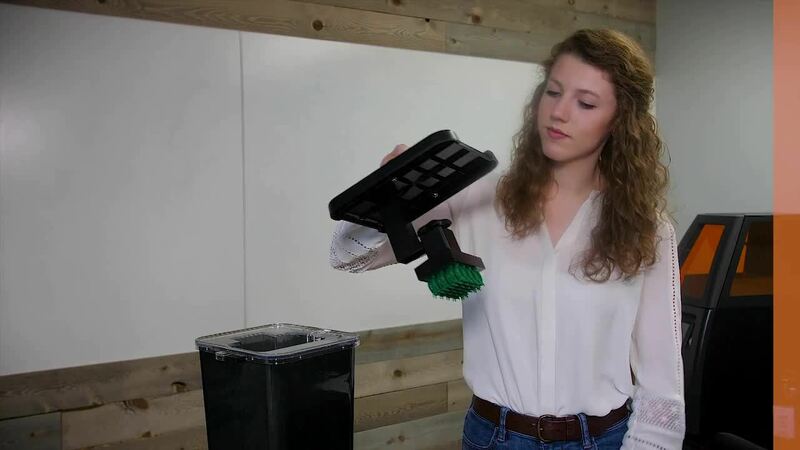 (Feb. 5, 2019) – B9Creations, a professional provider of 3D printing solutions, launched the B9Clean today, a tool that automates customers’ post-processing with thorough, no-mess, glove-free cleaning. From print to post-processing, B9Creations will be showcasing its end-to-end 3D printing solution at AGTA Tucson trade show Feb. 5-10. “It’s no secret that it’s a messy process to go from a finished print to a final product. We wanted to address this pain point, delivering production-grade parts with post-processing to match. That’s why we developed the B9Clean, so the first time a customer touches a part, it’s printed, clean and dry. Coupled with our B9 Model Cure and B9 Core Series 3D printers, businesses have a simple, fast, automated solution – so they can focus less on process and more on results,” said Shon Anderson, B9Creations CEO. The B9Clean offers customizable cleaning cycles that give customers flexibility in their workflow – all while using 75 percent less cleaning solution than other units on the market. Parts can be transferred directly from the B9 Core Series 3D printer while still on the build platform or as loose models on the part tray. 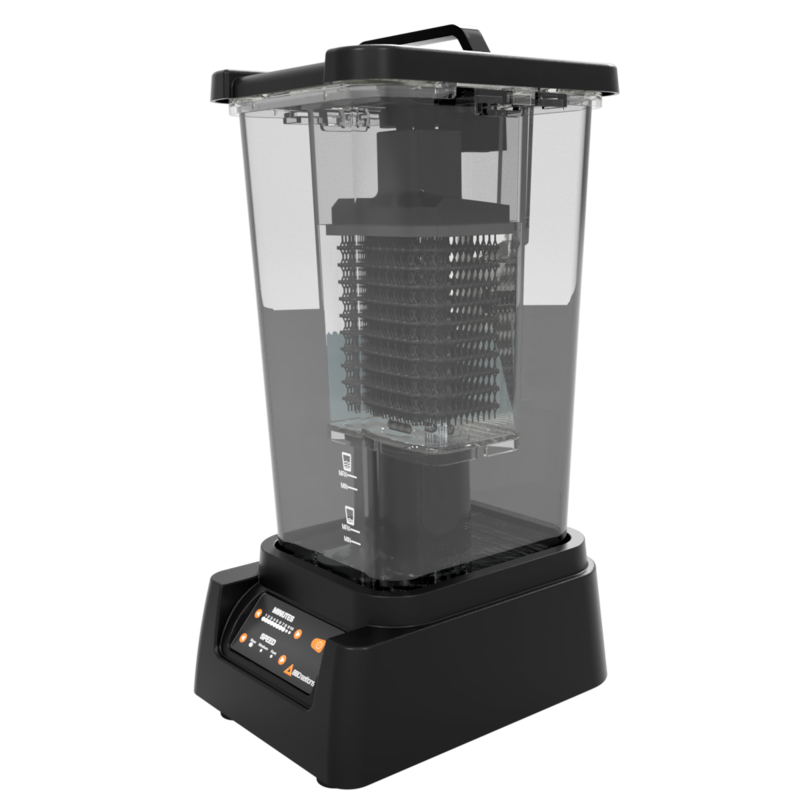 With three speed options and a one-to-10-minute cleaning cycle, the B9Clean also offers two different fill levels. For customers printing smaller models, the unit holds 1.3 liters of cleaning solution and comes equipped with an extended build table arm. For customers printing larger models, the B9Clean holds up to 2 liters of isopropyl alcohol. When the cleaning cycle is finished, the isopropyl alcohol drains out, ensuring parts never oversoak in cleaning solution and are air-dry and ready for post-curing in the B9 Model Cure. Demos of the B9Clean will be available at B9Creations booth #2022 at AGTA Tucson. The B9Clean is available for preorder now, with shipping beginning in March 2019. For more information, visit b9c.com/products/accessories. Download the B9Clean Press Kit.